So there I was at La Bodega Pavilion yesterday to sample their upcoming Christmas specials. Gastrodome Group is offering guests an opportunity to light up their holiday cheers with an exclusive Christmas package this festive season at all La Bodega outlets in Klang Valley and Malacca. Check out some of their offerings which we tried out below. A platter of Christmas joy, the breakfast menu will be made available at any of the La Bodega outlets from 24 December until 2nd January. 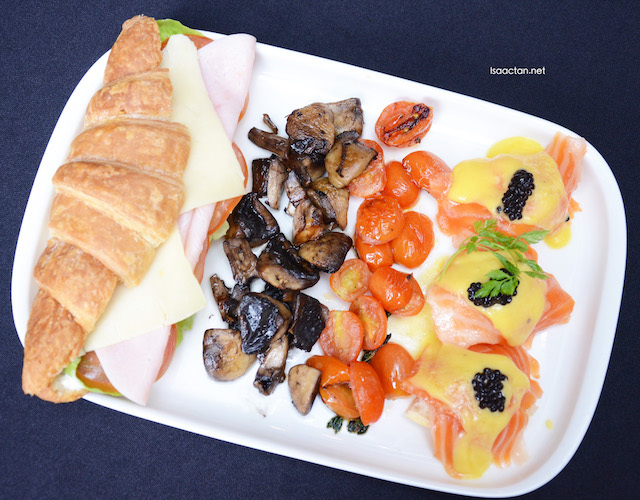 The Christmas breakfast menu features mini English muffins with quail poached egg, salmon and seaweed caviar, tomato cherry confit, toast bread, croissant filling with cheddar cheese and Spanish turkey ham with coffee or tea and a glass of Cava at RM59+ per person. Chef basilio Martin, Group Executive Chef expertly curated a Christmas dinner menu which will feature a seafood soup with Carabineros as starters followed by turkey truffle with baby potatoes and mix mushrooms in port wine sauce. For those ringing in the New Year, La Bodega will be featuring a special year end dinner menu from 31 December till 1 January 2016. 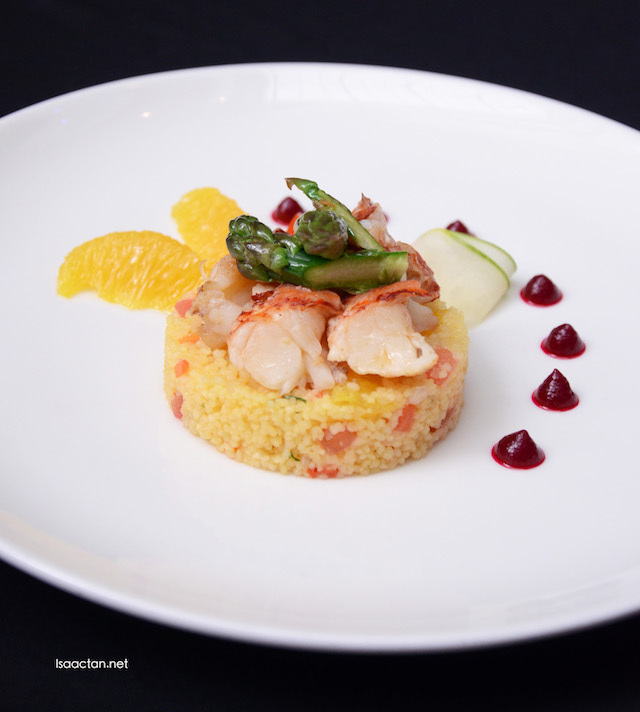 The three course meal features lobster salad with orange dressing and vegetable cous cous as shown below, duck breast with rosemary, honey sauce and mushroom polenta and sweet dessert. I found the Lobster salad with orange dressing and vegetable cous cous to be really refreshing, as the orange dressing and flavours really gives that zest to the dish. 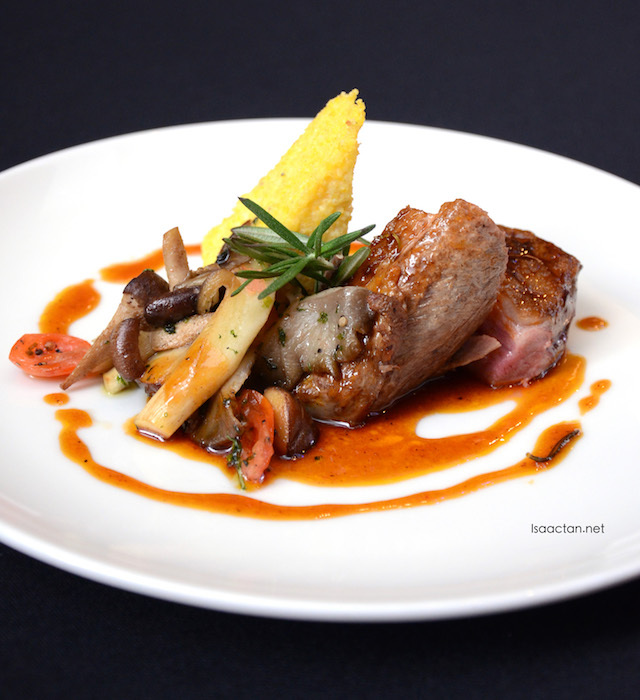 Love the lobster meat, a good starter to the duck breast with rosemary that comes up next. The Duck Breast with rosemary came in a rather nice plate with huge chunks of delicious duck breasts doused in rosemary and honey sauce. I like the taste, coupled with yummy mushroom polenta, this is a good one. For dessert, we had cheese cake with ice cream, passion fruit cream and strawberries terrine which includes a glass of Cava. This special dinner menu is priced at RM150+ per person. For more information, or to make reservations, do visit La Bodega's Facebook page at www.facebook.com/mylabodega and drop them a message. Christmas is coming. I can feel the spirit of festive season with your La Bodega Christmas special post. Yeayyy! I like the way they present the food! Beautiful! Merry Xmas! got any Diwali special? Christmas no plan yet on what to eat, should tell friends to check this place soon. I wanna try that seafood soup lolol. 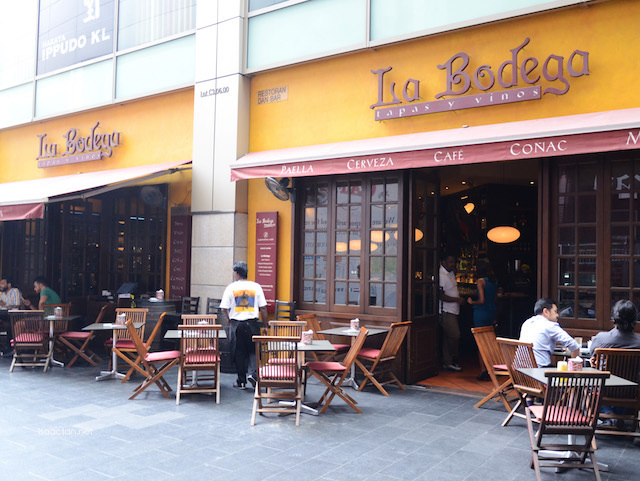 This is my first time heard about La Bodega, gonna check on it soon! The foods looked great and tasty!! Thanks for sharing these Christmas delights. Can't wait for the season to come around. Ah the food looks good! Am particularly attracted to the duck breast with rosemary, bet it's good! That's sure a hearty Christmas set! 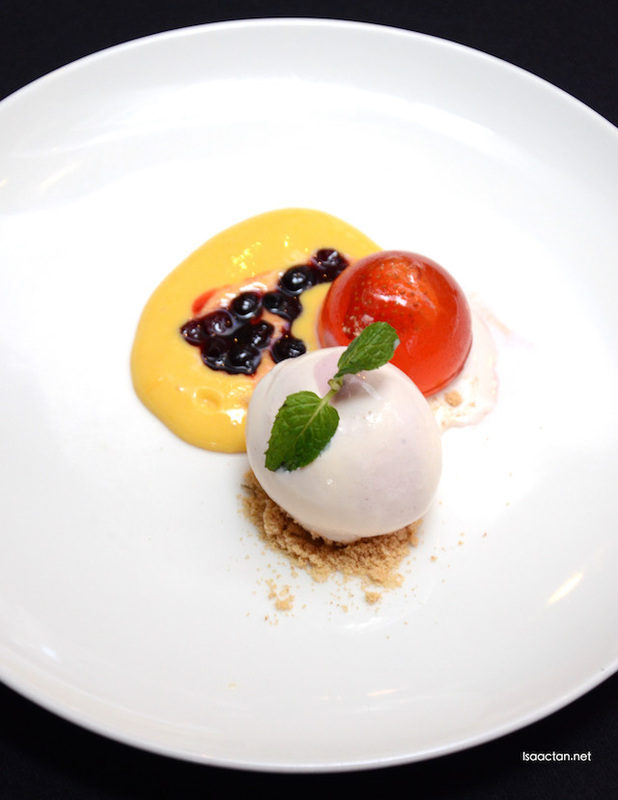 Who can resist cheese cake with ice cream? Wow... Lobster salad looks tempting. Feel hungry now. isaac gets to eat the best food in the world. so blessed. i wanna try this set looks so good. What would it be to dine in on normal day? Do they have like their on specials too? Cause the foods and servings look just so awesome! Yayyyy. So happy. Finally a xmassy post. He he he...I can't wait for xmas. Isaac, where is my pressie? 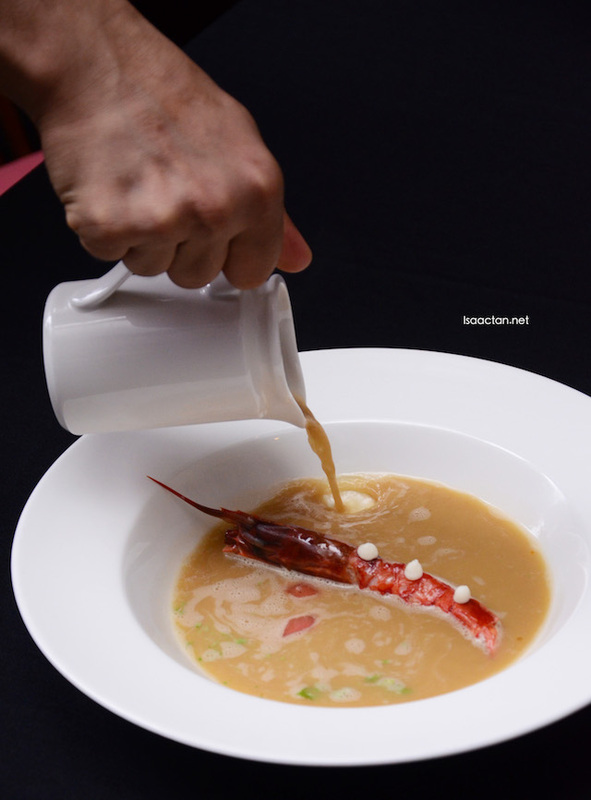 Seafood soup looks quite delicious and spicy at the same time. lovely presentation you have captured here.